Carson Slates is a young child from Elmore, Ohio who was diagnosed with Cystic Fibrosis shortly after birth. After an extended stay in the St. Vincent’s NICU, Carson was able to join his parents at home. Since that time, Carson’s parents, family members and friends have become committed to helping find a cure for this devastating disease. While Carson looks healthy, he continues to fight this disease daily by taking an arsenal of medications that sustain his life. The treatment these medications provides is only possible with your continued support of the Cystic Fibrosis Foundation’s research. 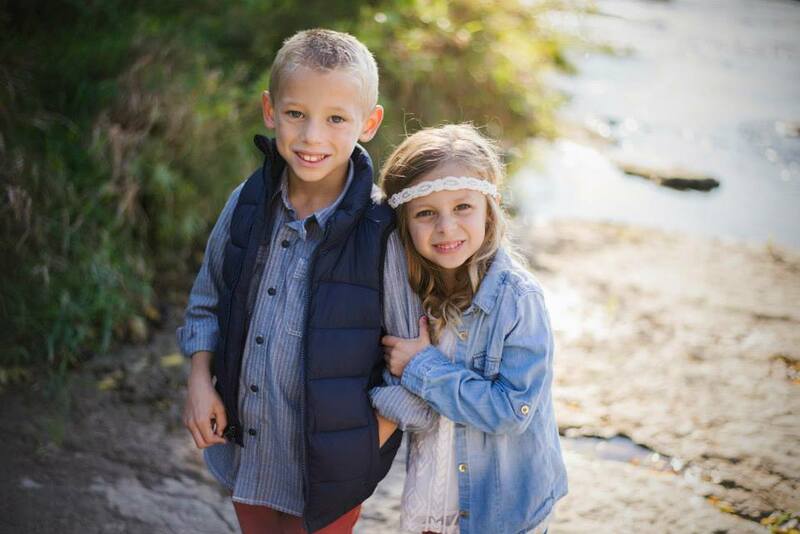 Carson’s younger sister Kennedy has also been diagnosed with cystic fibrosis. Kennedy does not show any visable signs of disease either, but she too has started the arsenal of medication and the everyday routine of breathing treatments. These two little children deserve the chance to live without the constant fear of medication, lung infections, hospitals, nebulizers, etc. Cystic Fibrosis is a genetic disease affecting 30,000 children and young adults in America. There are over 150 families in the Toledo area alone that are affected by this disease. CF causes chronic and life threatening lung infections and impairs digestion. The average lifespan of people with CF is close to 40 years…this is just not acceptable! The Cystic Fibrosis Foundation does not receive government funding for research-funds come from people like you! If you would like more information on Cystic Fibrosis please visit www.cff.org. “Carson’s Crew and Kennedy, too!” was founded as an organization to help raise awareness about Cystic Fibrosis and money to help fund research for a cure. The crew is a group of Carson and Kennedy’s family and friends who work year round in this effort. All the money raised by CCKT goes straight to The Cystic Fibrosis Foundation.